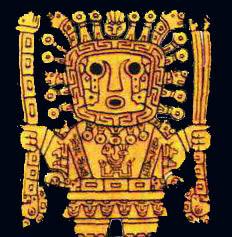 Inca Culture and it's Effects on Modern Peru. Photo of the Creation Legend's Brother & Sister. Photo of Peruvian Children Dressed in Inca Clothes. Photo of An Inca Mummified Child. Photo of a Woman Dressed in Inca Clothes. Photo of Sapan Intiq Churin.